Hinderer Knives Halftrack tanto with a working finish blade and battle blue anodized titanium handle scales. 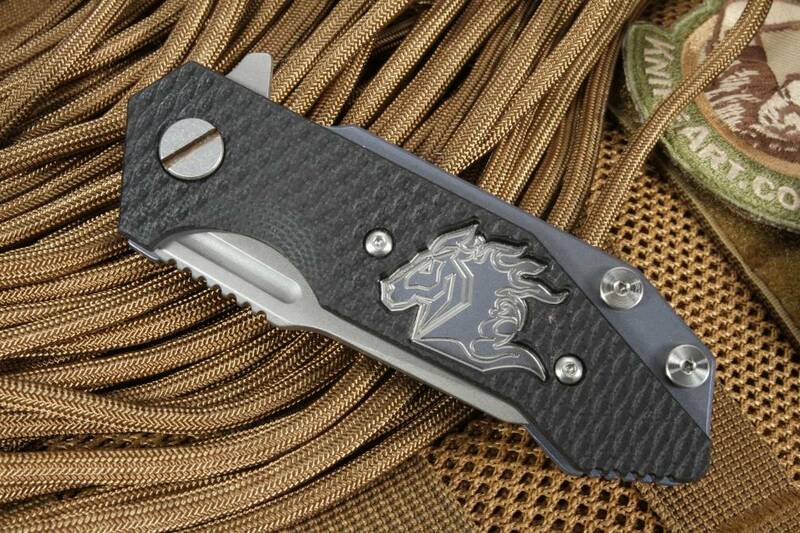 Cut out in the textured black G-10 scales expose the engraved Hinderer horse head logo. 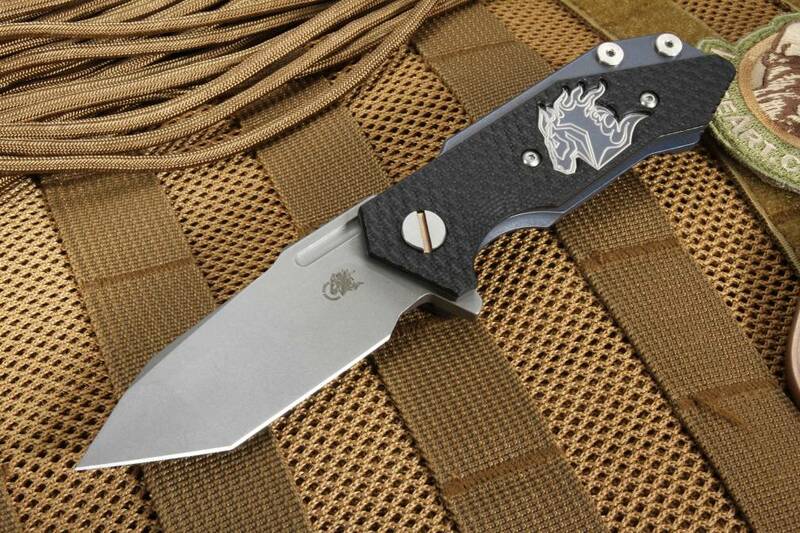 Blade features a stainless American Made CPM 20CV with a tanto grind and working finish. Jimping on the thumb rest of the blade spine. Flipper as well as a thumb groove for easy opening with either hand. Solid frame lock design with a Hinderer lock bar stabalizer. 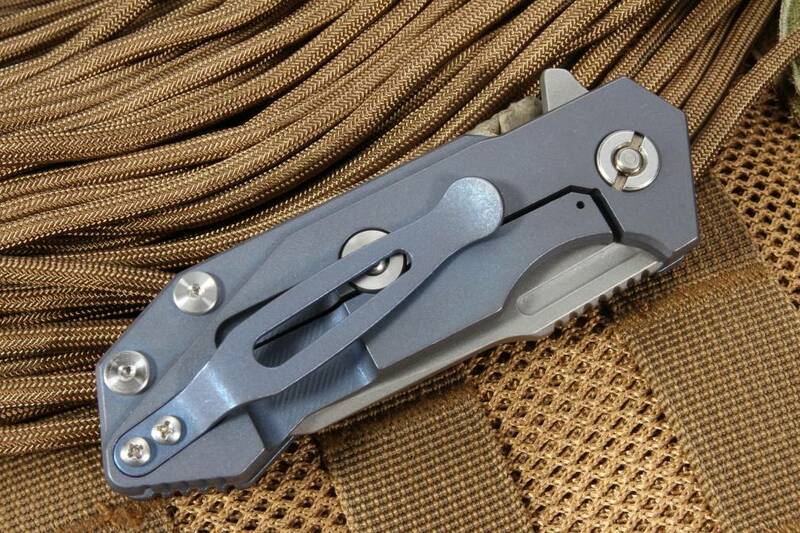 Blue anodized titanium pocket clip is mounted for blade tip up carry. 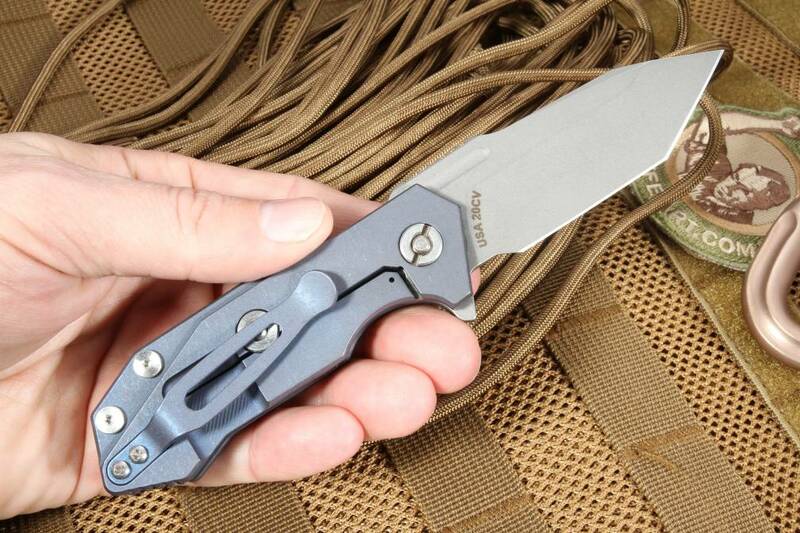 Titanium handle has a blue anodized titanium working finish. 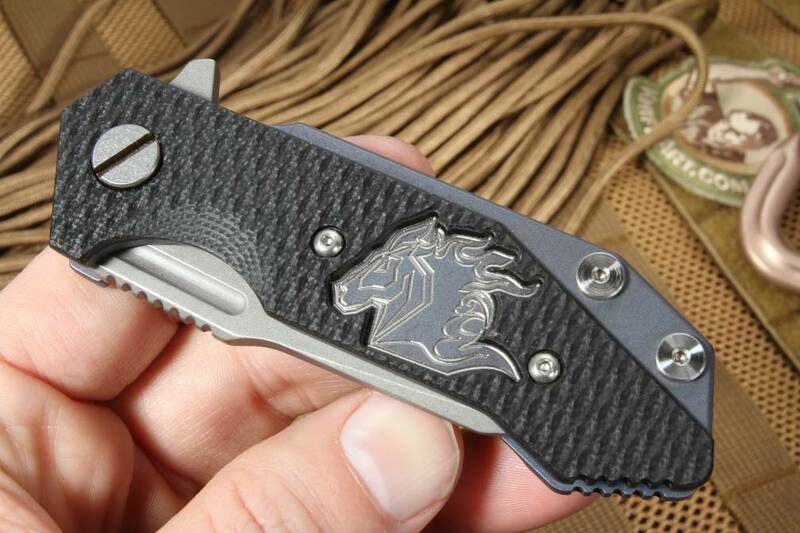 Face side of the frame has a cut out of the textured black G-10 handle to expose the engraved Hinderer horse head logo. 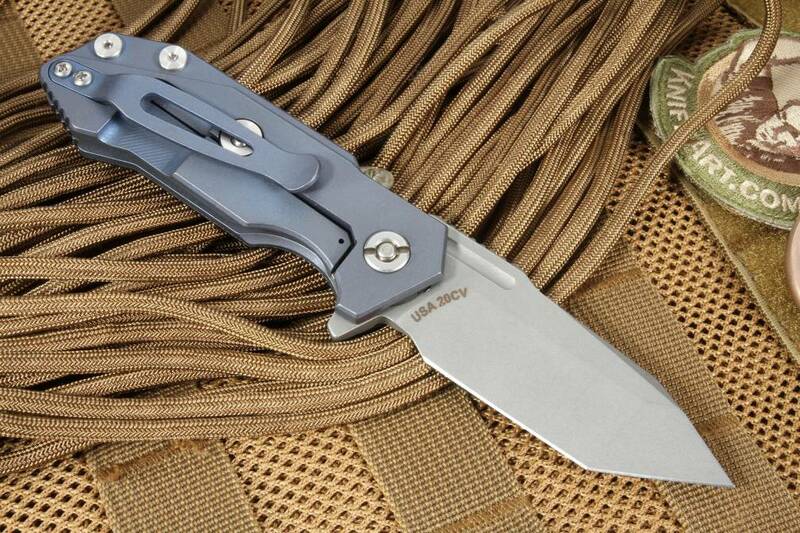 Hinderer knives are made in the U.S.A. by Americans that care about quality and precision. KnifeArt.com is proud to represent Hinderer Knives.